It is with pleasure we introduce to you our most recent addition Dr Benjamin (Ben) Gupta to our dedicated team of Doctors at Hunter Oral & Maxillofacial Surgery Centre. Dr Gupta qualified from the University of Liverpool, UK in 2001 with a Bachelor of Dental Surgery. He worked as a General Dental Practitioner around the North East of England until 2004, undertaking further training in orthodontics, oral surgery and dental sedation. He accepted a post as a Senior House Officer in Oral & Maxillofacial Surgery at Queens Medical Centre in Nottingham. Dr Gupta then accepted a job at Westmead Hospital, Sydney Australia. Subsequently he then completed Bachelor of Medicine at the University of Newcastle in 2009. He undertook medical, emergency, critical care and surgical rotations within the Hunter junior medical officer network. He successfully completed his surgical training in 2016 within the NSW and ACT network working in Sydney and Canberra hospitals. He then accepted a Fellowship position back at Queens Medical centre in Nottingham. He furthered his skills in Temporomandibular Joint Surgery and surgical correction of sleep apnoea and complex facial deformity including cleft and distraction osteogenesis. 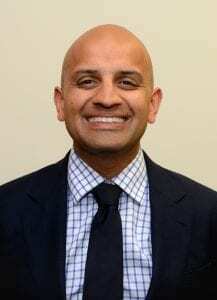 Dr Gupta has presented both at national and international meetings, published in peer reviewed journals and a chapter in a book and is currently a reviewer for the British Journal of Oral & Maxillofacial Surgery. Dr Gupta looks forward to working with you and to giving the best treatment possible to your patients. He is now available for consultations in our Broadmeadow rooms along with Dr Wilson and Professor Hoffman. Our surgeons have private theatre availability at Warners Bay, Lingard, Newcastle and now at Maitland Private Hospitals.